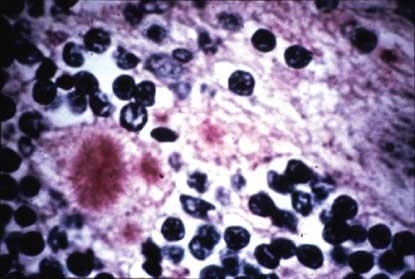 Accumulation of amyloid plaque is a common feature not only in Alzheimer’s disease (AD), Creutzfeldt-Jakob Disease (aka Mad Cow disease), and the dementias associated with Parkinson’s disease and Huntington’s disease, but in the aging brain, brain injury, and certain chronic low grade infections, such as Lyme disease. Amyloid-beta (Abeta or Aβ), a peptide of 39-43 amino acids, is the main constituent of amyloid plaques. 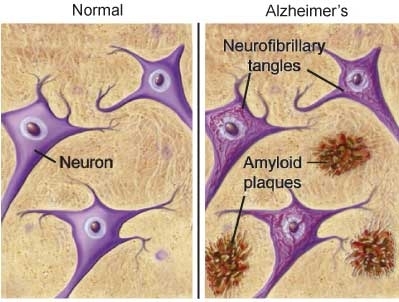 While the specific mechanisms of beta-amyloid’s involvement in neuropathology remain to be fully characterized, the preponderance of evidence indicates that beta-amyloid (Abeta) accumulation plays a significant role in AD, promoting inflammation and oxidative stress, and increasing the aging brain’s vulnerability to functional impairment and neuronal atrophy. An exponential increase in the incidence of AD, combined with the aging of the American population, brings into sharp focus an urgent need for interventions to prevent and/or remove neurological accumulation of Abeta. Unfortunately, recent reviews of once promising pharmaceutical agents indicate not only the complete failure of candidate drugs to reduce Abeta accumulation, but potentially serious side effects. Advances in diagnosis and palliative treatment of AD, and other age-related neuropathologies involving the accumulation of soluble Abeta and amyloid-beta plaque, have done nothing to lessen their rapidly escalating incidence in the United States. In a statement made in 2003, past president of the Alzheimer’s Association, Sheldon Goldberg warned, “We have 10 years, at most, to prevent disaster. If we miss that chance, Alzheimer’s will bankrupt family, state, and federal budgets as up to 14 million baby boomers succumb to the disease.” Is Goldberg an unrealistic predictor of doomsday? The most recent data suggests he may not be far off the mark. AD currently afflicts 5.2 million or 1 in 8 individuals >65. Every 71 seconds, another American develops AD; by 2050, this rate will escalate to a new case of AD every 33 seconds. One in 5 women and 1 in 7 men who reach age 55 will develop some form of dementia in their remaining lifetime; in 1 in 6 of women >55 and 1 in 10 of men >55, the dementia will be AD. The number of people <65 affected by AD is projected to reach 7.7 million by 2030 – a greater than 50% increase from the 5 million affected today. It can be argued that AD is the most significant disease threat we face. From 2000 to 2005, deaths attributed to AD disease increased by 44.7%, while deaths due to heart disease, the #1 cause of death, dropped (-8.6%). Deaths due to breast cancer also dropped (-0.8%), as did deaths due to prostate cancer (-4.9%), and stroke (-14.4%). Clearly, we are making headway against heart disease and cancer, while AD has reached epidemic proportions and not only remains uncurbed, but is increasing exponentially. 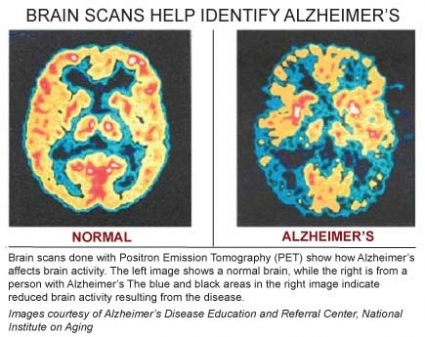 In AD and other types of dementia, the rate at which nerve cells deteriorate and die rapidly increases, greatly outstripping repair and renewal mechanisms. A healthy adult brain has 100 billion neurons whose axons connect via 100 trillion synapses where neurotransmitters are released by neurons and transmit information to adjacent cells. Different strengths and patterns of chemical signals move constantly across synapses, creating the cellular basis of memories, thoughts and skills. In AD, information transfer at the synapses in the cerebral cortex and certain subcortical regions begins to fail, the number of synapses declines, and eventually neurons die. Gross atrophy occurs in affected regions, including the temporal lobe, parietal lobe, and parts of the frontal cortex and cingulated gyrus.7 In advanced AD, the brain exhibits dramatic shrinkage from cell loss and widespread debris, not only from amyloid plaques outside and around neurons, but from neurofibrillary tangles that build up inside dying neurons. Scientists do not yet fully understand the processes that result in the catastrophic brain damage associated with AD, but the disease has been identified as a proteopathy (protein misfolding disease) due to the accumulation of abnormally folded Abeta fibrils and tau proteins in the brains of AD patients. The plaques seen in AD are composed of the peptide, beta-amyloid (aka Abeta or Aβ), a protein fragment snipped from a larger transmembrane protein called amyloid precursor protein (APP). APP is located in the neuron’s membrane where, in the non-amyloidogenic pathway, it is cleaved by the a-secretase enzyme, producing “a-secretase cleaved soluble APP (APPsa), which is thought to play a role in neuronal survival and repair after injury. In the amyloidogenic pathway, however, APP is proteolytically processed by the beta- and gamma-secretases to release the neurotoxic Abeta peptide. The neurofibrillary tangles, seen within the neurons in AD, are the result of the aggregation of abnormally folded tau protein. In healthy neurons, tau protein phosphorylates, and thus stabilizes, the microtubles that constitute the internal structure of the neuron and provide the pathway through which nutrients and other molecules move from its body out to the ends of the axon and back. In AD, tau becomes hyperphosphorylated, and threads of hyperphosphyorylated tau join, forming the characteristic neurofibrillary tangles seen inside affected nerve cell bodies. Of the three major competing hypotheses to explain the central mechanism in AD, the most evidence supports Abeta as the primary causative agent. Not only is the cytotoxicity of mature aggregated amyloid fibrils, which disrupt the neuron’s calcium ion homeostasis and thus induce apoptosis, well recognized, but the latest research indicates that soluble Abeta (Abeta in oligomer form) is even more toxic than its final aggregated plaque form. The amyloid hypothesis is further supported by the fact that the gene for APP is located on chromosome 21, and patients with Downs Syndrome, who have trisomy 21 (and thus an extra copy of the APP gene), almost universally exhibit AD-like disorders by age 40. Amyloid plaques, and neurofibrillary tangles—visible, respectively, between and inside affected neurons—are the hallmarks of AD. Both not only disrupt neuronal communication and reduce the neuron’s ability to resist or recover from injury, but promote inflammation and oxidative damage, further contributing to neurons’ degradation and resulting AD symptomatology. Other drugs currently used to slow AD progression include statins, NSAIDs and memantine. Statins slow progression slightly but are unable to reverse neuronal degeneration once it has occurred. Non-steroidal anti-inflammatory drugs (NSAIDs) downregulate pro-inflammatory signals, microglia, and astrocytes, and may reduce risk of AD by lowering Abeta production. However, randomized controlled trials of various NSAIDs have failed to show a significant effect on the rate of cognitive decline in patients with dementia or the rate of conversion to AD in patients with mild cognitive impairment. Moreover, a randomized controlled primary prevention trial of NSAIDs in AD, the AD Anti-inflammatory Prevention Trial (ADAPT), was terminated in 2004 due to concerns regarding cardiovascular risk. These nutraceuticals are available now, offer remarkably few, if any, side effects, and taken together, may greatly aid in managing brain senescence. Curcumin is the most active of the three curcuminoids found in the yellow-orange Indian curry spice, turmeric (Curcuma longa); the other two are demethoxycurcumin and bis-demethoxycurcumin. Phagocytosis of Abeta by macrophages is excellent in normal subjects but deficient in most AD patients. Increased proinflammatory cytokine levels and activated microglia and macrophages in AD patients may be compensatory for defective clearance of Abeta. Consequently, therapeutic interventions that increase phagocytosis of Abeta might decrease brain inflammation as well as reduce inflammation-induced neurodegeneration. Interestingly, black pepper is a common ingredient, along with curcumin, in curry spice blends, which may contribute to the beneficial effects of turmeric consumption seen in epidemiological studies in India and other areas where curries are standard fare. Rosemary has a long history of folk use as a brain stimulant, remedy for heart trouble, antiseptic, insect repellent, and food preservative. Rosmarinic acid, a polyphenol antioxidant carboxylic acid found in rosemary (and other Lamiaceae herbs commonly used as culinary herbs, including oregano, sage, thyme and peppermint) is metabolized in both rats and humans to methylated rosmarinic acid, coumaric acid, ferulic acid and caffeic acid. Ginkgo biloba extract has demonstrated neuroprotective effects in a variety of animal models and has improved or maintained cognitive function in AD patients. Ginkgo biloba exerts vaso-regulatory actions that protect blood vessels and help explain its effectiveness in managing cerebral insufficiency states, neurosensory disturbances and peripheral occlusive arterial disease. Additionally, Ginkgo biloba extract has been shown to abolish Abeta-induced ROS generation and to protect, in a dose-dependent manner, against Abeta-induced apoptosis and neurotoxicity. In vivo research conducted at Georgetown University Medical Center suggests that the mechanism through which Gingko biloba inhibits Abeta formation and rescues neuronal cells from Abeta-induced cell death involves its ability to decrease the capacity of low density lipoproteins (LDL) to carry free cholesterol to various tissues without affecting the capacity of high-density lipoproteins (HDL) to carry cholesterol back to the liver. High cholesterol levels affect APP generation and Abeta processing since one of the physiological functions of APP and Abeta is to control free cholesterol transport. High levels of free cholesterol induce over-production of APP mRNA expression and Abeta. Specifically, in the presence of high cholesterol levels, APP synthesis (expression) is increased, and the processing of APP for the formation of Abeta and Abeta peptide fragments is enhanced. In addition, Abeta increases the capacity of lipoprotein and apolipoprotein to carry free cholesterol, which may explain the link between the ApoE4 genotype and increased risk for cardiovascular disease as well as AD. Ginsenoside Rg2 has been shown to protect neurons against neuronal injury and Abeta formation induced by glutamate. Although glutamate is a principal excitatory neurotransmitter in the brain and is involved in many neurological functions, including cognition and memory, excessive activation of glutamate receptors can cause neuronal injury or death. Such glutamate-related injury is induced by excessive calcium influx into neurons triggered by activation of glutamate receptors. The combined results of these in vitro and animal studies strongly indicate that ginseng itself, or purified ginsenosides, may have similarly useful effects in human AD. And also suggest prophylactic use of ginseng may be protective against AD. Derived from the periwinkle plant Vinca minor, vinpocetine is also showing a number of neuroprotective properties that may help in the prevention and treatment of AD and other neurodegenerative pathologies involving oxidative stress. Vinpocetine is an antioxidant and vasodilator, increasing blood flow to the brain. Protect nonamyloidogenic APP processing. Two pathways for APP processing have been described: the nonamyloidogenic pathway releases secretory amyloid precursor protein a (sAPPa), which prevents Abeta formation, whereas the amyloidogenic pathway produces Abeta. APP produced by the nonamyloidogenic pathway also has potent neurotrophic and neuroprotective activities against excitotoxic and oxidative insults, promotes neurite outgrowth, regulates synaptogenesis, exerts trophic effects on cerebral neurons in culture, and stabilizes neuronal calcium homeostasis. In in vitro studies, huperzine A has been shown to increase sAPPa levels and decrease Abeta levels. Huperzine A improves APP non-amyloidogenic processing by increasing the levels of protein kinase C (PKC) isoform a, which activates various neurotransmitter receptors, including muscarinic acetylcholine receptor subtypes M1 and M3, which are thought to increase the release of sAPPa and decrease Abeta levels. PKC is also thought to regulate downstream signaling pathways, including mitogen-activated protein kinase (MAPK) signaling, which is also involved in the APP non-amyloidogenic pathway, although the precise mechanism still needs clarification. Protect against neuronal apoptosis induced by Abeta, hydrogen peroxide, oxygen-glucose deprivation, serum deprivation, and the PKC inhibitor staurosporine. Protect neurons against Abeta-induced oxidative stress. Abeta interaction with neuronal membranes induces the formation of peroxides and lipid peroxidation. In the early stages of AD, patients are more likely to exhibit increased oxidative stress than apoptosis. Rat neurons pre-treated with huperzine for just 2 hours before being exposed to a solution containing Abeta showed significantly less cellular stress than untreated cells, which experienced a rapid decline in ATP production. As a result, mitochondrial membrane homeostasis and integrity were disrupted, producing severe oxidative stress and death. Incubation of cortical neurons with Huperzine A, however, resulted in markedly less oxidative stress and death. In in vivo research, Huperzine A increased the antioxidant enzymes, glutathione peroxidase and catalase, decreased the level of the lipid peroxidation product malondialdehyde, and significantly reduced the rise in concentrations of superoxide dismutase and malondialdehyde in the hippocampus, cerebral cortex and serum of aged rats. Improve nerve growth factor (NGF) signaling. In vitro experiments have shown that decreased supply of NGF to basal forebrain acetylcholine-containing neurons leads to neuronal shrinkage mimicking that seen in AD. NGF cannot be given directly as it cannot penetrate the blood-brain barrier. Incubation of neurons with Huperzine A increases NGF mRNA and protein levels, and in a rat model of transient cerebral ischemia and reperfusion-induced cognitive deficiency, resulted in improved learning and memory. Improve neurotransmission. The central nervous system is a complex network in which one neurotransmission system often affects others, e.g., acetylcholine, noradrenaline and dopamine systems interact, influencing learning and memory. Abnormalities of all these neurotransmitters are seen in AD. Huperzine A administration markedly restores not only acetylcholine, but noradrenaline and dopamine levels. Huperzine A also acts as an NMDA antagonist (the effect of memantine, which combined with an AChE inhibitor, donepezil, has been helpful in AD). A flavonoid commonly found in foods, such as berries, vegetables, teas, wine, and herbs, myricetin has been shown to have antioxidant and anti-inflammatory properties, and to protect neurons from Abeta-associated neurotoxicity and inhibit Abeta accumulation. An abundant phenolic phytochemical with anti-inflammatory and antioxidant properties, ferulic acid is found in the seeds of plants such as rice, wheat and oats, as well as in coffee, apple, artichoke, peanut, orange and pineapple. The chemical structure of ferulic acid closely resembles that of curcumin71, and like curcumin, ferulic acid is not only a powerful antioxidant, but a strong inducer of the heat shock response. Heat shock proteins are a highly conserved CNS mechanism responsible for the preservation and repair of correct protein conformation. Not only AD, but Parkinson’s disease, Huntington’s disease, Amyotrophic lateral sclerosis and Friedreich ataxia are all considered misfolded protein pathologies. As the population ages, a dramatic increase is projected in AD. Currently, pharmaceutical treatments for AD offer only short-term palliative relief. It is clear that Abeta oligomers are deleterious to neurons in their vicinity, and emerging therapies are likely to be based on preventing such assemblies from forming and/or persisting. A number of nutraceutical agents, including Curcumin, Rosemary Extract, Ginkgo Biloba Extract, Red Ginseng, Vinpocetine, Huperzine-A, Ferulic Acid, Myricetin, and Ashwagandha Extract, have demonstrated effective modulation of key mechanisms underlying Abeta pathology with virtually no side effects, except desirable ones. Numerous peer-reviewed studies suggest these agents can prevent and even reverse accumulation of Abeta oligomers and plaque formation. Although these nutraceutical agents lack large scale human trials proving effectiveness in AD, their use in clinical practice is strongly supported by: their demonstrated effects on the underlying mechanisms of AD pathology, their lack of adverse effects, their other known health benefits, and the lack of any better therapeutic choices at this time. Particularly for individuals at high risk, e.g. those with an ApoE4 genotype, preventive action is imperative as optimal outcomes are clearly dependent upon prophylactic treatment.